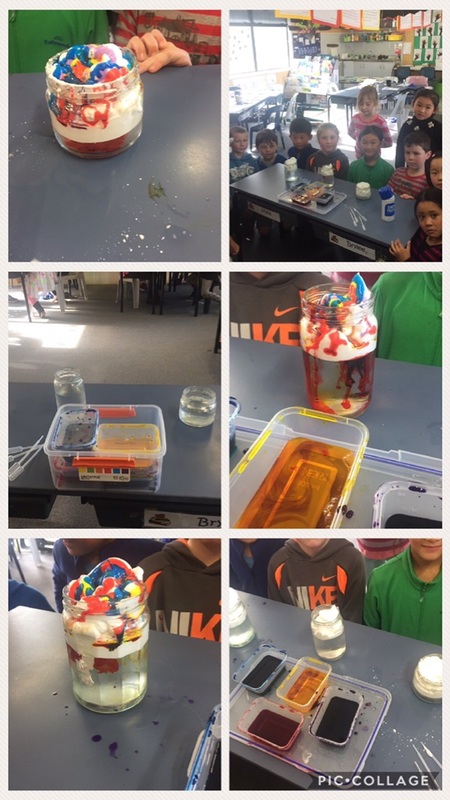 Last term we had so much fun trying out different science experiements. One of our favourites was this colourful rain experiement. We wrote down what we needed for the experiment and the different steps we had to do. We then made predictions on what we thought would happen. Lots of us thought it would explode and overflow. The dye soaked through the shaving foam (clouds) and made colourful rain. Doesn't it look cool?